I know traditional way is to serve the lobster tail with clarified butter but since I was sharing with my tot, I wanted to go a little easy on the butter. Plus I just never dunk my crab or lobster in butter for some reason. This garlic sauce is what I use for a lot of simple and quick seafood dish. Like when I grill or broil shrimp or scallops. 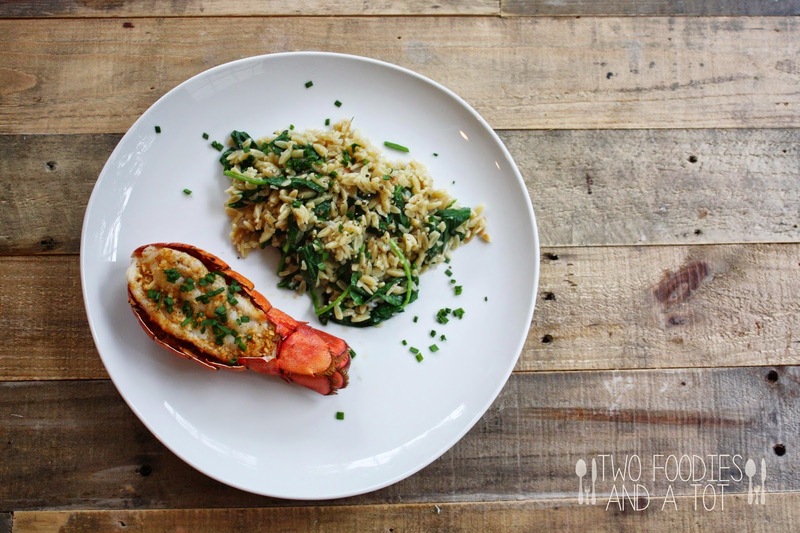 Lobster looks lonely on the plate but I really just made one. Haha. I served it with one skillet spinach orzo pasta which is so easy, I will post the recipe some time soon. 1. 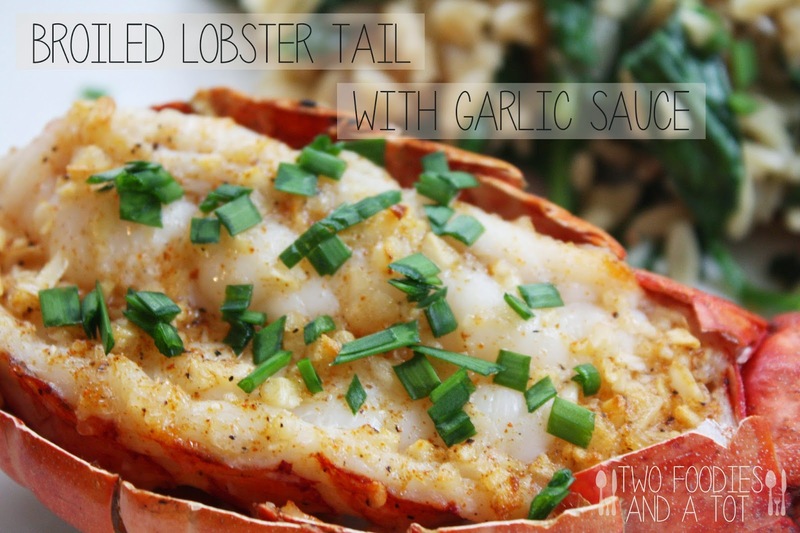 Using kitchen scissors, cut the lobster tail front and back shell lengthwise. Carefully open up the shell slightly, separate the meat from the shell then place it back in the shell. 2. Mix the garlic sauce ingredients in a little bowl and drizzle between the shell and the meat and on top. 4. When done, sprinkle chopped chives and serve.